Love this comforter. It's so soft & very plush! I can't wait to tell friends & family so that they can get one too. I would definitely order another one of these comforters again. Sleep peacefully in this cozy microfiber comforter from Soft Essentials. The lightweight shell features baffle-box stitching to hold the down alternative filling in place and keep you warm all night long. Available in six versatile neutrals, this plush comforter is sure to match your modern decor. Description says "soft essential premium ultra plush down fiber comforter", it couldn't be further from the truth, there is nothing premium or plush about this item, it is the flimsiest, cheapest quality ever, there was a ball of threat stuffed in the middle of this item as it was stuffed into a clear plastic liner, it looks like mass production disaster with no quality control in place. Don't waste your money on this item. I bought this as a cheap comforter for the spare king bed in our guest room. Oops. It's so soft yet warm that I now cuddle up with it on the couch, then drag it up to our master for bed every night. I'll be ordering 2 more - another king for the spare and a twin for the couch!! Don't let the weight fool you. These comforters are very warm and very attractive if you want to use as a bed topper. I like them because they keep you warm and they are not heavy. I have bought 5 of these in the various beautiful colors. This is a great queen comforter I have placed over an oversized king comforter. It is soft, lightweight and warm. Comforter is very soft and keeps you at perfect temperature. 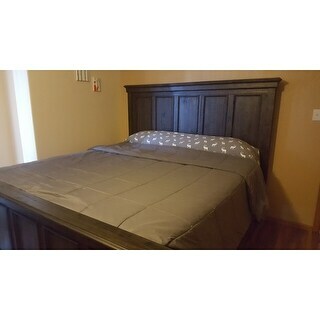 Didn't have to wait long for delivery and color of the grey matches are new platform bed. Love it. Soft, cozy. Not too thick, not too thin and not heavy. Perfect for year round comfort. Excellent product for the price. Nice rich brown color. Big square stitching. Exactly what I was looking for. Would fit nicely in a duvet cover also. I absolutely love this Comforter! When we were looking for comforters for our brand new king size bed, the prices were ridiculous. I just wanted something with a design that I wasn't going to get bored off and want to change in a few months. I found nice designer sheets and soft thread counts, but that really didn't mean anything to me. I just wanted a simple comforter and didn't want to pay a lot for it. I had believed that Down Comforters only came in the traditional white. So, when I found a gray comforter that closely resembled our sheets for less than $; I was sold. Great night sleep every-night since then! I got this to fill a duvet and I love it. It came sealed well and I let it fluff back up before using. This is very nice for the price will buy another. Great quality. Perfect year-round blanket, may need to have an additional blanket if you like to keep your room cold. 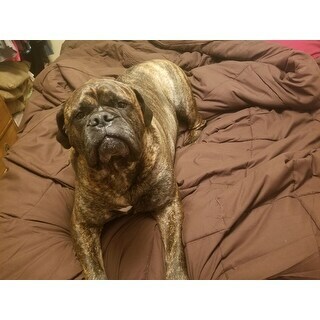 Ordered a king for my queen size bed so that there is some extra blanket available. Nice color but certainly not ultra plush, more light weight than I expected. It will be used during warmer months. Update: Held up now for over a year, pleasantly surprised. I was unhappy with this comforter and gave it away. It was very cheap so I shouldn't have been surprised that it wasn't going to be the quality I expected. Very thin and not like it was shown or described. Had to pay $** to send this junk back. This should not be allowed! 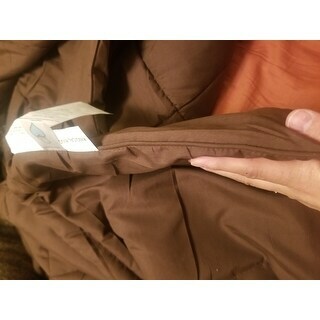 The photo and description details a full and plush comforter. This is not that! Its completely flat, soft but flat, and the stitching started coming a part as soon as I took it out of the vacuum sealed packing. Also not ideal for winters on the east coast or even fall weather- not useful for all seasons! If I wouldn't lose $* to ship it back I would send it back! Don't waste your time or money! I don’t even need to see this to tell all of you that Overstock is the best site for all your needs. 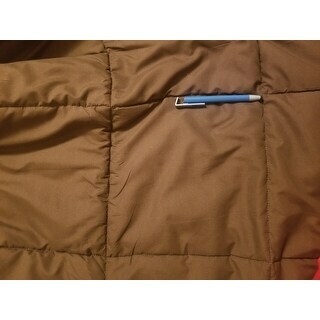 I just bought a Cal/King Comforter I cant wait to get it. I’m sure I will be very happy with this. Thank you Overstock to funny I ordered this one almost one year to the day. I just ordered my second one yesterday. Highly recommended, seems to be great quality! Purchased this as an alternative to a heavy down comforter/duvet. Excellent size and quality. It is fairly thin but that works for us in Florida! I got this to go inside of a duvet cover. I gave it four stars because the fill seems a little light to me and I wish it would have been fluffier. I bought this to go into a duvet cover and it is perfect. Good weight and just enough "puff"
"Does this comforter have loops in corners?" No, these comforters do not have loops in the corners. No, but we love ours. "What is the fabric content of the shell? My daughter is allergic to everything but cotton. Thanks in advance." I am not sure it is the second set of these sheets I bought and the comforter name brand matches.. they are luxurious and soft..beautiful ..choice I got the aqua color this time. "Has anyone washed and dried this comforter? Did the filler bunch up?" Yes, I have an oversized washer and dryer and it washed and dried beautifully. Fluffed right back up without bunching. I highly recommend this comforter. "Are pillow shams available for this comforter?" Unfortunately no,the pillow shams are not available. "Will the Cali/King be too big for a queen?" I have found that King size (not Cali/King) is best for full coverage for a queen bed. "I like the ivory color but you do not have it in a regular king. Will the calif. king fit the regular king size mattress." The king/California king size is designed to fit a king or California king size bed. "Does this cover come with matching pillow cases? " I'm sorry jessica I don't remember if it did or not. It does not. However, you'll be glad to know it's held up pretty well and I bought it a year ago. Good bang for the buck.